The Obama administration is poised to take over Oregon’s broken insurance exchange, according to officials familiar with the decision, who say that it reflects federal officials’ conclusion that several state-run marketplaces may be too dysfunctional to fix. In public, the board overseeing Cover Oregon is scheduled to vote Friday whether to join the federal insurance marketplace that already sells health plans in most of the country under the Affordable Care Act. 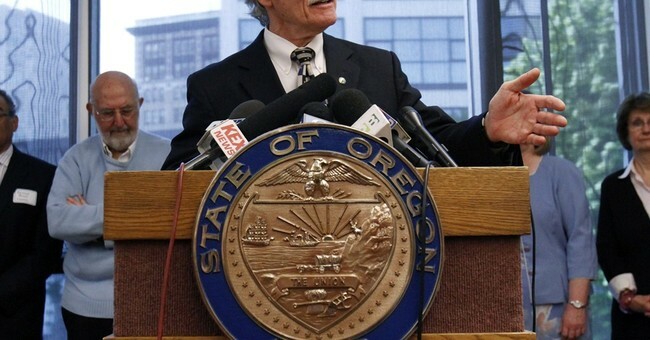 Behind the scenes, the officials say, federal and Oregon officials already have privately agreed that closing down the system is the best path to rescue the state marketplace, the country’s only one to fail so spectacularly that no residents have been able to sign up for coverage online since it opened early last fall. The collapse of Oregon’s insurance marketplace comes as federal health officials are also focusing intensely on faltering exchanges in two other states, including Maryland. 2. Aetna chief executive Mark Bertolini says premium increases in those 17 states, which encompass 132 rating areas, will be quite literally all over the map in 2015. He said those increases will range from "the very low single digits" to "some that will be over double digits." That depends on the number of members, the demographics of memberships and what limited information the company has about new members, he said. 3. Bertolini said about half of the company's premium increases, whatever they turn out to be, will be attributable to "on the fly" regulatory changes made by the Obama administration. He cited as an example the administration's policy of allowing old health plans that were supposed to expire in 2014 to be extended another three years if states and insurers wanted to. By all means -- keep preening, Obamacare supporters. America loves a winner.